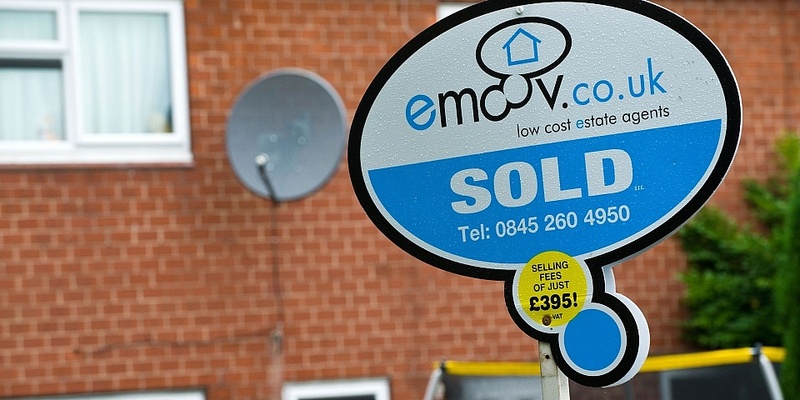 Major online estate agent Emoov, which also owns Tepilo, has gone into administration, potentially leaving thousands of home-sellers out of pocket by as much as £2,995. James Cowper Kreston, the firm appointed to act as administrators for Emoov, says the company currently has 5,000 properties listed for sale or sold subject to contract. Of this total, around 80% have paid upfront for the service and are at risk of losing money from the collapse. This follows the closure of Hatched, the online arm of estate agency group Connells, in September 2018. We explain what options you have to get your money back and what to do if you’re in the middle of selling your home. If you’re thinking about selling your property and want to know how much you’ll be able to borrow for your next home, call Which? Mortgage Advisers on 0800 197 8461. Exclusive data provided to us by TwentyCi shows that over the past 365 days, Emoov had approximately 8,000 new instructions. The firm accounted for approximately 0.5% of the estate agency market in 2018. Around 53% of new instructions received by Emoov typically went on to be ‘sold subject to contract’ and the average price of a property listing was £375,000. Tepilo’s figures are rolled into this data as its activity is merged with Emoov. Emoov was founded by Russell Quirk in 2010 and described itself as a ‘hybrid’ estate agency, combining a low-cost online service with support from local agents. Sellers could pay a flat fee of £895 (or £995 within the M25) if they paid upfront or using a 0% finance option. There was also a more expensive £1,995 (£2,995 within the M25) option if you preferred to pay on completion, after your home actually sold. For the fee, home sellers got a valuation by an agent, floorplan, ‘for sale’ board, professional photos, listing on major property portals such as Rightmove, viewings arranged, offer negotiation and sales progression. In April this year, Emoov acquired Tepilo, the online estate agent founded by Channel 4 presenter, Sarah Beeny. Tepilo offered three packages which charged £645, £895 or £1,295 paid on completion or after 10 months. The administrator has stressed that Urban Sales and Lettings Limited, an Emoov subsidiary service for landlords, is unaffected. The administrators say that a number of prospective buyers have expressed an interest in buying Emoov and Tepilo’s property listings. It will be exploring the transfer of these ‘as a priority’ to minimise disruption to home movers. If a firm does buy the firm’s listings, this should be under the same terms originally signed up to, but that’s not guaranteed. I was very sorry to hear that @emoov has had to go into administration. Sad news for the staff and of course for customers who will be wondering what’s going on. @PurplebricksUK we will do what we can to help all of these customers and ensure they’re not out of pocket. What does the Emoov collapse mean for its customers? Emoov’s collapse will leave thousands of home sellers in limbo as the administrator tries to arrange the sale of current property listings. For now, it might be best to wait and see what happens over the coming days, as you may be able to transition to a new company and not lose any money. But if another firm doesn’t step in to buy the property listings, or you’re not happy with the way the firm chooses to honour your agreement, you may want to try and get your money back. The administrator says it will be writing to creditors to invite them to submit claims for the money they are owed by Emoov and Tepilo. However, creditors will be ranked by priority. Secured creditors such as banks that have loaned Emoov money, as well as employees owed salaries, are likely to rank higher than customers, so it’s likely you’ll end up quite low down the list of who needs to be paid first. If there aren’t enough funds to pay unsecured creditors, the administrator says there is a possibility that a dividend will be calculated as a proportion owed to the class of creditor you fall into. If you paid your fees upfront using a credit card, you may be able to get your money back using section 75 of the Consumer Credit Act. Under section 75, you can make a claim against your card provider if something goes wrong with goods you’ve paid for so long as they cost between £100 and £30,000. You can use our section 75 claim template letter to write to your credit card company. If you paid using a debit card you may be able to use chargeback to claw back the fees, as long as you made the payment 120 days ago or less. Chargeback isn’t enshrined in law like section 75, but is part of the Scheme Rules that participating banks sign up to. Find out more: how can I get my money back if a company goes bust? What happens if you’re mid-sale? At the time of writing, Emoov and Tepilo’s sites were still up and running, so customers should still be able to access their online accounts to take any information about viewings and offers. Currently, there is no customer service team answering calls, so if you’re unable to get any information online you could contact the administrator to see if it can help unlock the information. If you’ve already accepted an offer and solicitors have been notified you shouldn’t have to worry, as they’ll be able to progress the sale without an estate agent. What if you had chosen the ‘pay-on-completion’ option? Emoov and Tepilo also offered a pay later option which meant fees were only due after you had sold your home. If you had a pay on completion deal with Emoov or Tepilo and you’ve sold the property, don’t assume you won’t have to pay. It’s likely that you will be contacted by the administrator for payment if you owe money. Thinking of selling your home and moving to a different property? Call Which? Mortgage Advisers on 0800 197 8461 for a free chat about your mortgage options, or fill in the form below for a free call back.